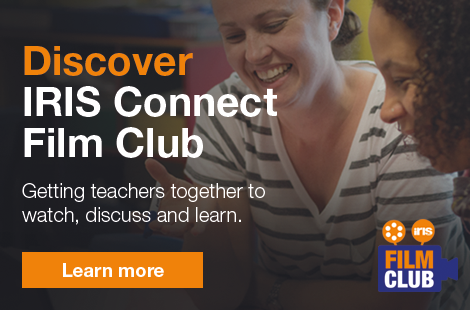 This EEF funded pilot study looked at the use of IRIS Connect alongside a film club programme that is designed to improve primary school teachers’ use of classroom dialogue and feedback. The project was independently evaluated by researchers at Birmingham University. The EEF trial was designed to find out whether the programme can be practically delivered in classrooms and whether it could be taken to a larger trial to find out what impact it has on attainment. Working closely with Whole Education and with input from the Universities of Cambridge and Leeds, we developed IRIS Connect Film Club as a programme to create long-term, whole school change in which use of effective dialogue and feedback is embedded into the culture. This intervention looked to improve children’s achievement by changing teachers’ thinking and practice. As a long term investment in teachers and schools, it was expected that the impact would be seen over a period of years. It assumes that schools need a positive culture of ‘open dialogue about teaching and learning’, which will foster change in teachers’ thinking and practice in the long run. 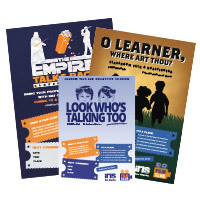 Over six months, participating schools were asked to organise six film clubs, which were designed to develop teachers’ thinking and practice in relation to classroom talk and higher-order feedback by ‘making learning visible’. They were provided with detailed guidance for organising these film clubs via the IRIS Connect platform. What did the EEF report conclude? The overwhelming majority of participants felt that the intervention had improved their practice, with over 95% of participants (80 out of 84) saying they had changed their practice as a consequence. They cited more collaboration, more open questions and dialogue with children and more emphasis on feedback that shared responsibility with the pupil. The overwhelming majority of participants believed that the intervention was a good use of their time. The six month pilot was an ambitious timeframe; schools purchasing IRIS Connect would usually complete the programme over the course of an academic year or longer, which would be easier for teachers to manage. There is strong evidence that film clubs promote discussion of teaching and learning. The training materials are well developed, clearly understood by teachers and ready for trial. These materials have now been further improved in light of the feedback from the project. Of lesson video clips that were shared with evaluators, the most positive ratings were for ‘poses serious challenges’ and ‘leaves the judgement to the pupil’. Given the evidence suggesting that the type of feedback matters for pupils’ learning, the project evidence is encouraging for an intervention that aims to improve pupils’ learning. "Video technology has huge potential to support teacher development and help spread best practice across schools. However the challenge lies in harnessing it in ways that work well in the classroom and with teachers’ busy schedules. We had some brilliant feedback throughout the project and as a result of the report, much of which we’ve already taken on board to ensure IRIS Connect Film Club is as effective as it can be. Time - as highlighted in the DfE’s Standard for Teachers’ Professional Development, time needs to be allocated and prioritised by school leaders for teachers to engage in effective, ongoing professional learning. IRIS Connect Film Club is no exception. The EEF project ran over 6 months, which was very ambitious in terms of time available to run film clubs. We would recommend that this programme is run over at least the course of a year to ensure it’s manageable alongside other commitments. Accessibility - we have also broken down the first three film clubs into four ‘episodes’ to make them more accessible and manageable with a view to providing further related ‘episodes’ in the near future. Resources - we have further evolved the training materials based on project participant feedback. This includes making the groups in the platform easier to navigate and the production of a ‘Director's Guide’ with everything schools need to run successful film clubs. "It's both the content and the format of film club that's really useful. The clips are high quality and lead to fantastic discussion. Having the example modules really helps - half the job is done for you. It's definitely affected the professional learning culture, making it less top down and more open. It's also created an atmosphere of trust."